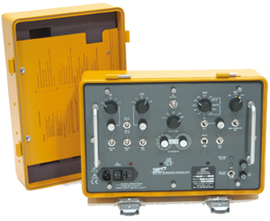 The T-30D Ramp Avionics Test Equipment Set is a simple to operate Test Set intended to completely test VOR/GS/LOC & MB equipment. Having completely changeable signals, the user of this test set can test and confirm a broad range of navigation equipment. The battery (built-in) and charging unit enables the test set to be easy to maintain. Also, it has a rough design adapting to all weather makes it to be utilize in all weather conditions.